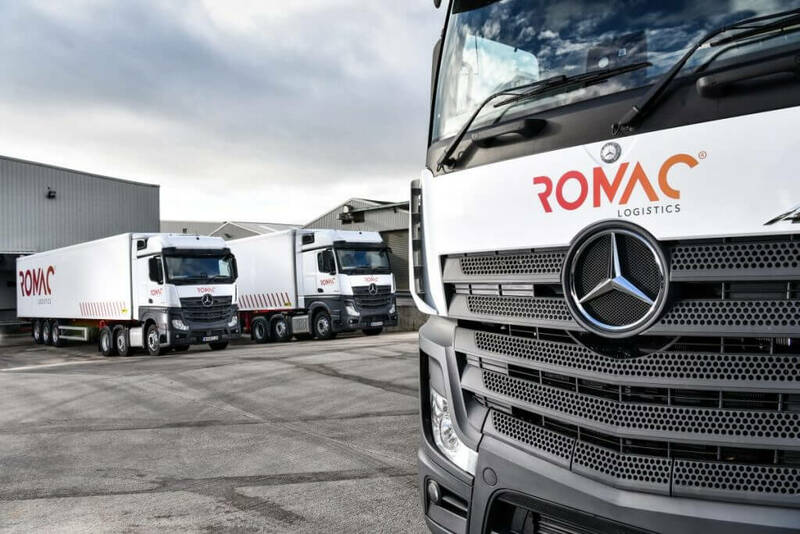 Asset Alliance Group’s flexibility in providing new and used trucks and trailers for sale and lease has played a crucial role in helping the launch of new chilled and ambient logistics provider Romac Logistics. The Group’s commercial vehicle funding division, Asset Alliance, supplied the Manchester-based company with 10 new Mercedes-Benz Actros 450 Big Space tractor units and 10 new Gray & Adams multi-temp trailers on a three-year, operating lease with repair and maintenance support. While its sales arm, ATE Truck and Trailer Sales, provided Romac Logistics with eight used Schmitz Cargobull single-temp trailers. Owner of Romac Logistics, Rob McAdoo, says: “All the team at Asset Alliance Group were incredibly easy to deal with and they were very keen to support us as a new business. Romac Logistics’ assets will be used to move chilled and ambient goods from the company’s Leeds depot across the UK for contracts with several major UK manufacturers and retailers. Asset Alliance’s repair and maintenance package means Romac Logistics pays an agreed monthly fee for support services, which covers all running, servicing and MOT costs for the units over the lifetime of the contract. Romac Logistics is a family-run business, offering British Retail Consortium-accredited storage and warehousing and primary and secondary transport through own fleet national distribution.